Pre-owned vehicle pricing includes all offers. Tax, Title and Tags not included in vehicle prices shown and must be paid by the purchaser. While great effort is made to ensure the accuracy of the information on this site, errors do occur so please verify information with a customer service rep. This is easily done by calling us at (888) 530-5742 or by visiting us at the dealership. 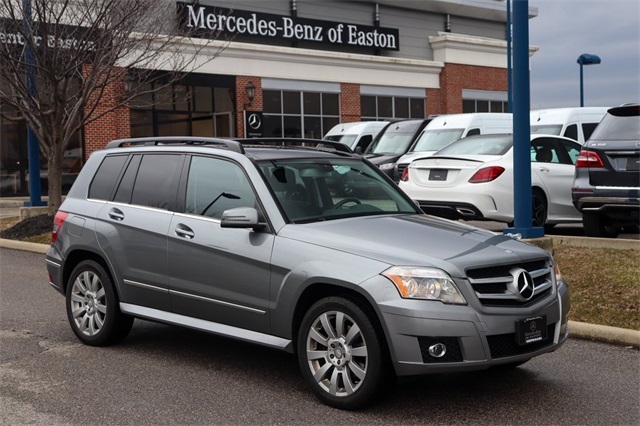 2010 Mercedes-Benz GLK GLK 350 in Palladium Silver Metallic with Black mb-tex, COMPLIMENTARY DELIVERY IN OHIO AND NORTHERN KENTUCKY!, MSRP $42,460, 115V AC Power Outlet, 19" 10-Spoke Light-Alloy Wheels, 4-Way Lumbar Support, Auto-Dimming Mirrors, Heated Front Seats, HomeLink Garage Door Opener, Integrated Compass, iPod Integration Kit (In Glovebox), Memory Package, Panorama Sunroof, Power Liftgate, PREMIUM 1 PACKAGE, Rain Sensing Wipers, Rear-View Mirror, SIRIUS Satellite Radio. Leather Multifunction Steering Wheel with 4.5"